National statistics show that 70% of businesses that suffer a major fire incident never reopen their doors, while 25% of businesses that do reopen their doors fail within one year. Big fires always start small. If fires in structures are not contained quickly, they spread through the building structure and cannot be extinguished. These uncontrolled fires can spread to surrounding buildings. For these reasons, it is vital for businesses and multi-unit residential owners to be educated about proper fire prevention practices. They also should be inspected every year. Under state law, fire departments are required to conduct fire inspections for schools, skilled nursing facilities, high-rise commercial buildings, and multi-family dwellings. As a component of its fire prevention program, the Oberlin Fire Department has instituted a Self-Inspection Program for select small business or professional offices, small retail shops, and small personal service shops. If qualified, each businesses would conduct their own inspection of their premises to check for various safety issues. This optional program alleviates the need for formal inspections by a fire inspector. 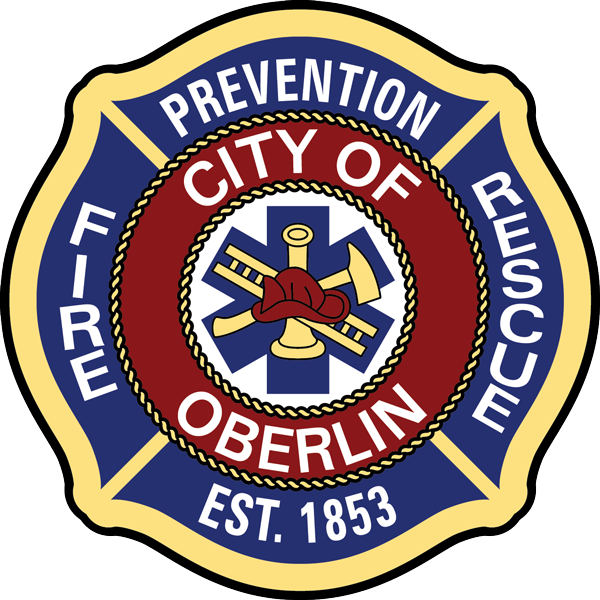 The Self-inspection program is an example of Oberlin Fire maintaining the high-level of quality service that our public expects while being conscious of our budgetary limitations, all while working with our business community to keep them and the public safe. The Self-Inspection Program is designed for light hazard commercial occupancies that do not have a high occupant load or level of risk. Light hazard occupancies are locations where there is a low amount of combustible materials within the occupied space, including furnishings, decorations, and contents. These occupancies may include: small business or professional offices, small retail shops, small personal service shops (barber, beauty shops, etc. ), etc. If your business falls into this classification, you may be eligible to perform your own self-fire inspection which may decrease the interval an actual fire department inspection is conducted. Self-inspection forms are mailed to businesses who qualify to participate in this program. Businesses are required to complete the inspection checklist and file these results on our website along with a small processing fee. Businesses who fail to complete the process will be subject to a formal inspection with additional costs. Businesses who fail to correct violations or maintain a code compliant facility, in addition to having an unsafe facility, will be subject to additional code enforcement activities and be removed from the Self-Inspection program.. Performing self-fire inspections promotes a safer year-round environment for your business and the public. We encourage any business or home owners to inspect your home or business for potential code and safety issues. A few minutes checking for problems can prevent a fire or other emergency situation. A copy of the Self-Inspection form is available on this web site. If you do not feel comfortable performing your own inspection, please follow the instructions on the website to request a standard fire inspection of your business.